Recent theatre includes: Relative Values directed by Trevor Nunn (West End/ Theatre Royal Bath) and Oh What A Lovely War! (Theatre Royal Stratford East). Recent television includes: Cockroaches (Big Talk Productions); Big Bad World, Stephen Poliakoff’s Dancing on the Edge, Switch and Life Story (BBC) and presenting Cornwall (TwoFour/ITV); Restoration Home (BBC1) and Passage Through India (Tiger Aspect/ITV). She has also written and directed an episode of Little Crackers for Bwark/Sky. 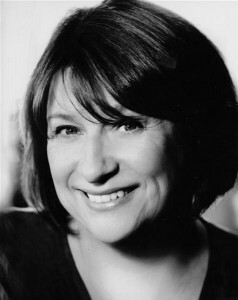 Caroline is well known for her role as Dorothy in Men Behaving Badly, for which she won the Best Comedy Actress Award 1995 at the Comedy Awards, and was nominated in both 1996 and 1997. She starred as Maddie in the first three series of Jonathan Creek (BBC), and three series of Kiss Me Kate (Carlton Television/BBC).  Other series include three series of Life of Riley (BBC); five series of Blue Murder and three series of Life Begins, for which she received the 2004 British Comedy Actress Award for her performance. Other television appearances include Footprints in the Snow, Von Trapped, The Innocent, Hot Money, Goodbye Mr Steadman and Blood Strangers, Just William, Miss Marple – The Mirror Crack’d, Upline, Bouncing Back, Videostars, This is David Lander, Have I Got News for You?, Whose Line is It Anyway?, Mr Bean and Once In A Lifetime. She appeared with Hugh Laurie in the three-part drama All or Nothing and co-starred in the film version of An Evening With Gary Lineker. She appeared in the Galton & Simpson series The Missing Pages, and was a guest star in the last episode of the Fry and Laurie series. Theatre credits include: Pippin, Terrible Advice (Menier Chocolate Factory); Life After Scandal (Hampstead Theatre & The Drum Plymouth); The London Cuckolds (National Theatre); The Seagull (Lilian Bayliss and tour); Roots (National Theatre); Our Country’s Good (Garrick); Low Level Panic, Sugar and Spice (Royal Court); A Game of Love and Chance (National Theatre); Les Enfants Du Paradis (tour). Caroline appeared in the original production of Les Miserables at the Barbican and Palace Theatres and played the lead in the successful West End comedy An Evening with Gary Lineker. Other theatre includes a leading role in Lysistrata for Bill Kenwright in London and Athens, the title role in Mirandolina for the Lyric Hammersmith and The Live Bed Show at the Garrick Theatre.